Hilary J. Jereza is a graduate of the University at Buffalo with a Bachelor of Arts degree in Dance. She currently teaches at Trillium School for Performing Arts in Lewisburg, WV and Academy of Arts at January’s in Charleston, WV while also teaching master classes at other dance studios across the state. She has worked with Theatre West Virginia as a featured dancer, dance captain, and choreographic assistant. She has choreographed for Theatre West Virginia, The Strand Community Theatre in Moundsville, WV, Clay County High School in Clay, WV and Academy of Theatre Arts, a children’s acting company in Buffalo, NY. 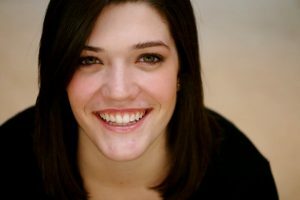 Hilary has studied with Doug Varone and Dancers, Lehrer Dance Company of Buffalo, NY, Daniel Sharone, and Jennifer Archibald. She has attended Bates Dance Festival in Lewiston, ME and Point Park University International Summer Dance Program in Pittsburgh, PA. Hilary has performed with UB Zodique Dance Ensemble, UB Emerging Choreographers Showcase, and Saya Woolfalk: No Place – Life Art Performance – Museum Space of Harlem, NY. 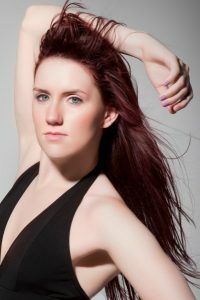 This is Hilary’s eighth season with WV Dance Company. Brittney Fitzgerald, Born in Toronto, Canada, began her training at Joanne Chapman School of Dance, under the direction of Joanne Chapman and Barbara Chonin, National Ballet of Canada. She graduated in 2014, with honors, from Point Park University with a Bachelor of Arts with a concentration in ballet and jazz, under the direction of Susan Stowe. While studying at Point Park, Brittney had the opportunity to perform works by Ron Tassone, Jessica Lang, Terry Marling, Dwight Rhoden, Keisha Lalama, Jill Randolph-Lazzini and many student-choreographed pieces. In 2013, Brittney attended Hubbard Street Dance Chicago’s summer intensive. In the summer of 2014, Brittney performed at Jacob’s Pillow with the premiere of Simerson and Company, performing works by Brian Simerson. Brittney currently teaches at The Beckley Dance Theatre School, in Beckley, WV, Rhythms of Grace Dance Studio, in Beckley, the pre professional program for TWV and at Valley Dance Studio, in Lewisburg, WV. She has performed for three seasons with Theatre West Virginia, as dance captain, performing in “Footloose”, “Addams Family”, “Hatfield’s and McCoy’s” and choreographing “the Jungle Book” and “Pippi Longstocking”. This will be Brittney’s fifth season with the West Virginia Dance Company. 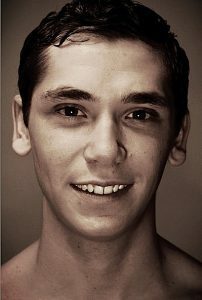 Curtis Johnson, a West Virginia native, is a graduate of Ohio University with a BFA in choreography. During his time at Ohio University he had the opportunity to work with various faculty members including Tresa Randall, Travis Gatling and Nathan Andary. He also had the opportunity to perform with the Azaguno African Dance Company, under the direction of Zelma Badu-Young, in Toronto, Canada and at Ohio University. Curtis was able to work with guest artists such as Urban Bush Women, Nii Tete Yartey, Chengxin Wei, and Anna and the Annadroids. Over the last six seasons, Curtis has performed as a dancer in various Theater West Virginia productions including Hatfields and McCoys, Annie Get Your Gun, All Shook Up, and many more. 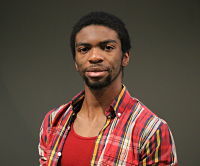 Curtis has also enjoyed the opportunity to work at the American Dance Festival in Durham, NC as production intern. This is his fourth season with the company. Forrest Hershey, a Florida native, began his dance training at age fourteen at various dance studios in the Sarasota area. He holds an A.A. from Valencia College and a B.F.A. from Florida State University, both in dance. He has had the privilege of performing works by Paul Taylor, Alvin Ailey, Jon Lehrer, David Parsons, Doug Varone, Gerri Houlihan and Tim Glenn. Since graduation, Forrest has been working closely with the American Dance Festival in Durham, NC, as an intern, staff assistant, and, for the past three summers, summer staff member. He made his professional debut with the West Virginia Dance Company in August 2015 where he is currently a company member, website editor, and media editor. Forrest has performed as a freelance artist with Beckley Dance Theatre, Huntington Dance Theatre, and at Valencia College. 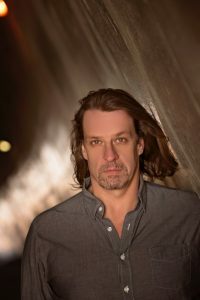 As a faculty member at Valley Dance Studio in Lewisburg, West Virginia, Forrest teaches ballet, modern, and jazz classes and continues to teach master classes along the east coast. His choreography has been presented at the West Virginia Dance Festival, and at various dance competitions where he has been awarded choreography awards as well as multiple overall scores. 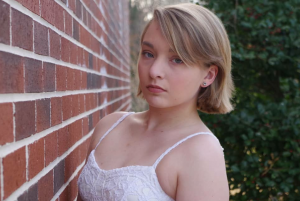 Jena Rose Barton, from Amston, CT, holds a Bachelor of Fine Arts in Dance Choreography and Performance from the University of North Carolina at Greensboro. During her time at UNCG she had the privilege of studying technique under Janet Lilly, Robin Gee, Justin Tornow, Clarice Young, Virginia Dupont, and Michael Job. Her repertory experience includes works by Germaul Barnes, Justin Tornow, Michael Job, Kara Janelle Wade, and Duane Cyrus. Her post-collegiate resume includes dancing in Theatre West Virginia’s 2018 productions of Paradise Park and Hatfields and McCoys. She is thrilled to be a new member of the West Virginia Dance Company.